For most people, their home is their most valuable asset. When wind damage occurs, you need a company who not only provides you high-quality repair, but also assists you in filing the insurance claim. When wind damage occurs, you’ll a need to hire a roofer that can provide you with a high-quality repair in addition to being able to help you with the insurance claim process. At Capital Roofing & Restoration, we do both. During the inspection we’ll also take photos, which will be required by your insurance company before a claim will be approved. If your insurance company requires that an insurance adjuster perform a secondary inspection, we’ll work with them to help ensure the claims process goes smoothly. 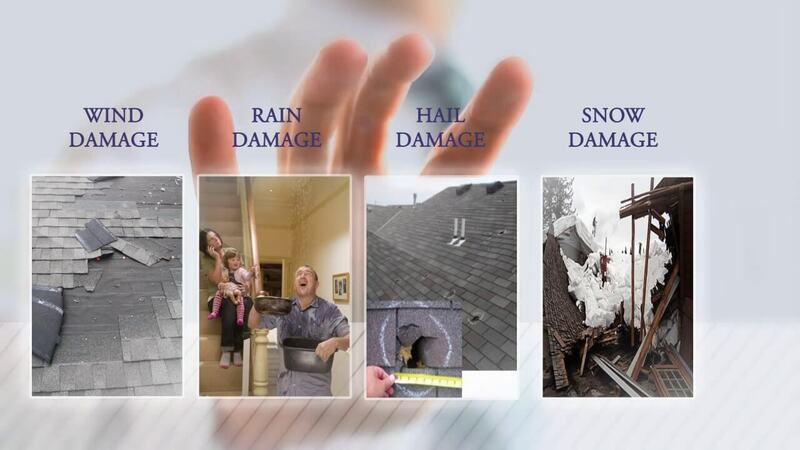 If your roofing system has sustained wind damage during a recent storm, call Capital Roofing & Restoration today so we can help you navigate the insurance claim process. 1. Take pictures and document any damage which is visible from the ground and record the date of the storm. 2. Call us and we will conduct a full property inspection. 3. We will contact the insurance company directly and file your claim. 4. An insurance adjuster inspection will be requested. 5. Most of the time we will meet the insurance adjuster in person. 6. After the approval, you will get two payments. One for the cost of damaged materials and the other for the cost of the contractor. 7. Once you have all the documents, then your repair work will start. If you need any more details, you can call us at anytime and we will help guide you through the process. We’ll be more than happy to assist you in filing the wind damage insurance claim. If you have recently filed a claim with your insurance company, received an insurance settlement or would just like to know whether it makes sense to pursue an insurance claim, Capital Roofing & Restoration and our claims specialists are here to help. Call us today at (720) 542 -8715 and an insurance claims specialist will be able to help very quickly. If you need additional details, give us a call anytime. We’ll be more than happy to assist you in filing your wind damage insurance claim.